Mitchell Keith Halsey, age 55, of Raymond, passed away on April 7, at St. Francis Hospital in Litchfield. Keith was born in Mt. Sterling, KY on January 14, 1964 the son of Billy Hershel Halsey and Mary Alice (Eldridge) Halsey. On June 30th, 1984, he married Carmen Bryant, daughter of William Harold and Rose Bryant, in Frenchburg, KY. Keith and Carmen have been blessed to celebrate a marriage of 34 plus years. 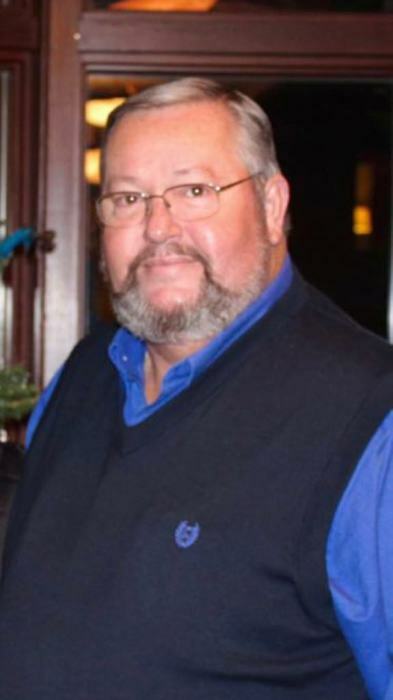 Keith was currently the pastor of Raymond Baptist Church in Raymond; served as a member of the crisis support team for the Raymond-Harvel Fire Dept. and loved the Dominican people. Keith demonstrated that love by his deep ongoing involvement with missions’ partnerships in the Dominican Republic. Prior to surrendering to God’s call to preach, Keith worked 25 plus years as a Respiratory Therapist. Keith is survived by his wife, Carmen, sons, William Joseph (Sarah) Halsey of Cantrall, Jonathon (Ashley) Halsey of Auburn, mother, Mary of Mt. Sterling, KY, brother Scotty (Kim) Halsey of Jeffersonville, KY, mother-in law, Rose Bryant of Raymond, brothers-in law: Raymond Bruce (Linda) Bryant of Paris, KY and Martin Damon (Katie) Bryant of Mint Hill, NC, grandchildren: Grant, Jack, Garren, Cole, Kyle, Griffin, Bret, Grady, Haddie, Karli, Beau, Lillian and another grandson on the way; 3 nieces and 5 nephews. Proceeding Keith in death both his father Billy Hershel Halsey and father-in law William Harold Bryant. Visitation will be held April 10, from 4-7pm with local funeral services being held on April 11, 2019 at 11:00am both being held at the Raymond Baptist Church. A second visitation will be held on April 13th, 2019 at the Menifee Home for Funerals in Frenchburg, KY from 10:30am until Noon with burial following in Catron Cemetery in Pomeroyton, KY.
Condolences to the family may be left online at www.houghfuneralhome.com. Hough Funeral Home is assisting the family with arrangements.